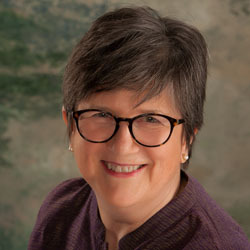 Fees and Insurance - Portland Jungian Analyst - Carol Walnum, MA, MBA, LPC. BlueCross/Regence and PacificSource insurance are accepted. I am BCBS Preferred Provider. For these carriers, I typically collect your co-pay and bill the insurance company. What amount of mental health coverage you have annually. What is your mental healthcare deductible, that portion of the ongoing billing you will pay out-of-pocket before your benefits cover a portion of your mental health services? Out-of-network means I cannot accept a co-pay from you or bill your insurance company as a provider on your insurance company’s provider network. It does mean that payment of my customary fee of $150.00 is requested from you at the time of service and that I will bill your insurance for out of network reimbursement for you within 48-72 hours. Statements for HSA’s or other savings plans can be documented for you. For clients who wish privacy concerning their therapy, cash payment offers that option. Psychotherapy, counseling, and analysis are investments in yourself, your healing, and your growth toward wholeness. You are working on your own goals and interests, work that is vital.When you call me to discuss what life issues you are facing, I will also be glad to discuss my fee with you.